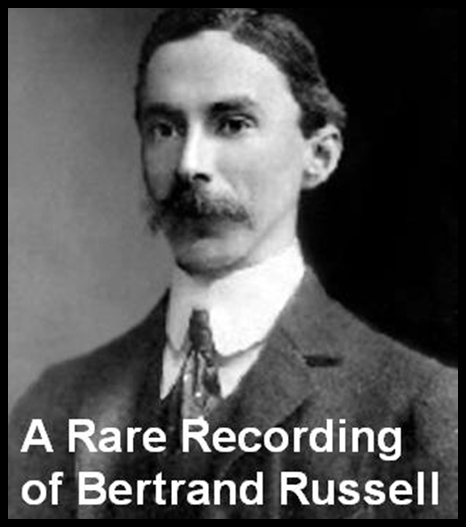 Bertrand Russell (May 18, 1872 February 2, 1970) was born inMonmouthshire, into one of the most prominent aristocratic families in Britain. Russell was a philosopher, logician, mathematician, historian, prominent anti-war activist, and an outspoken opponent of nuclear weapons. In 1950, Russell was awarded the Nobel Prize in Literature. The following is a 1959 speech on nuclear disarmament. Bertrand Russell (May 18, 1872 - February 2, 1970) was born in Monmouthshire, into one of the most prominent aristocratic families in Britain. Russell was a philosopher, logician, mathematician, historian, prominent anti-war activist, and an outspoken opponent of nuclear weapons. In 1950, Russell was awarded the Nobel Prize in Literature.